“It looked like a boil on my baby’s right thigh. Before we could realise what was happening, it had become a fatal cancerous tumour. 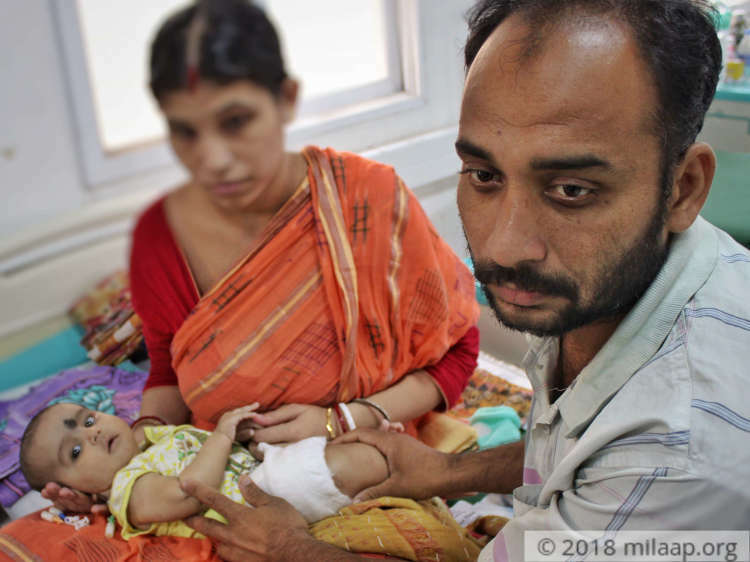 My husband, Haripada and I didn't waste time in taking him to the doctor. But when the diagnosis came, we were shocked! We had no idea that even a baby as young as 4-month-old could have cancer. For first time parents, the trauma of hearing this is way more than one can imagine. We have to save him at any cost, but I don't know how,” Pallabi, Hiran’s mother. In spite of acute poverty, Haripada and Pallabi wanted to give their child a better life that he deserves. No tests or scans during Pallabi’s pregnancy could give the parents a hint about the worst. They were overjoyed when they held baby Hiran for the first time. Before Hiran could get used to his home, he was already in the hospital struggling to live. 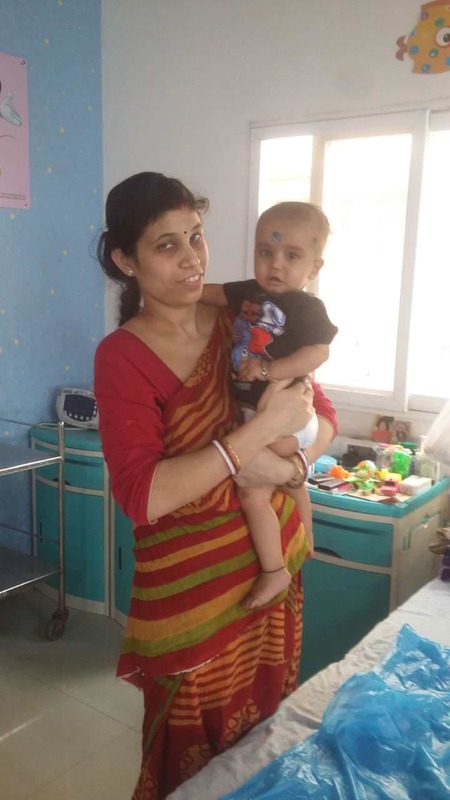 Baby Hiran has a rare form of cancer called embryonal rhabdomyosarcoma. This is a condition in which cancer develops in the skeletal muscle. Without immediate treatment, this cancer will spread to all parts of his body and can become fatal at any moment. 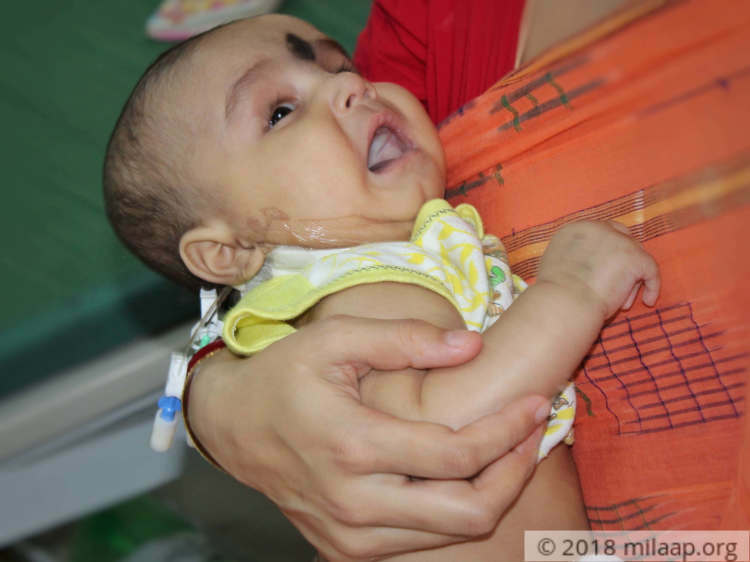 It is difficult for Pallabi to even understand if her baby is in too much pain. Hiran doesn’t cry much and tries to play. 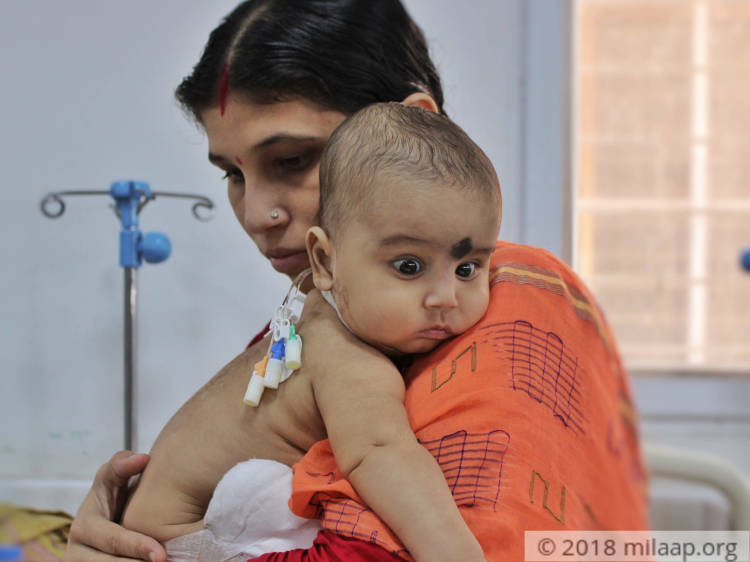 The parents are struggling very hard to gather every rupee to save their baby. “When we came from Bengal to Bangalore, I took up a house on rent. I had brought some money from home. After we ran out of money, I could no longer afford the rent. Now, I am staying in the hospital corridors. Food, sleep or even using the washroom is a problem here. But our problems are nothing as compared to my baby’s pain. I want to free him of all pain,” Haripada, Hiran’s father. It’s been 2 months that Haripada and his family are staying in Bangalore. Haripada used to harvest rice and vegetables. For 2 months, he has no work and hence no income. He felt ashamed to ask his old parents for help. But that was the only way. His parents borrowed from relatives and villagers to send money to save Hiran. 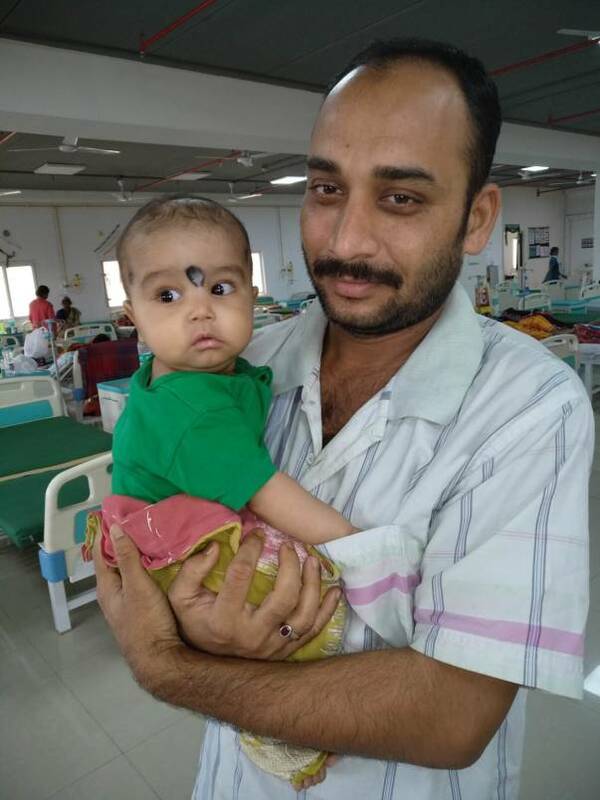 4-month-old Hiran is suffering from a rare form of cancer. 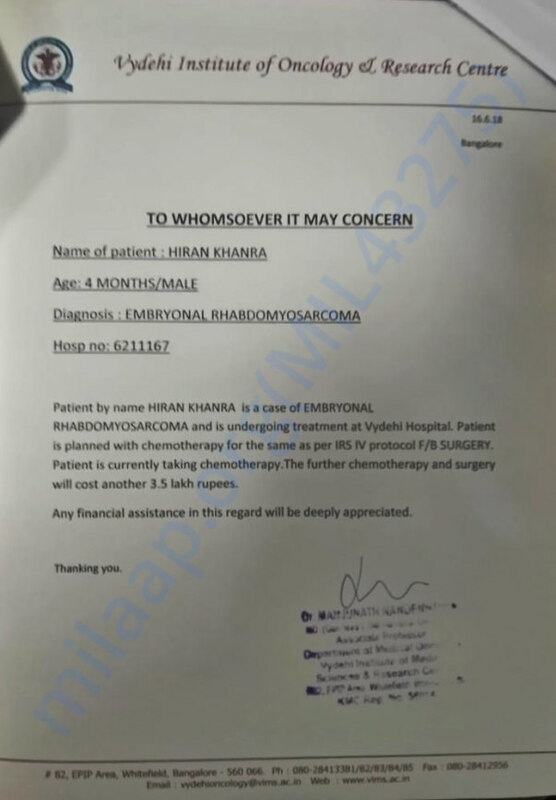 The only treatment that can save him now is a chemotherapy. 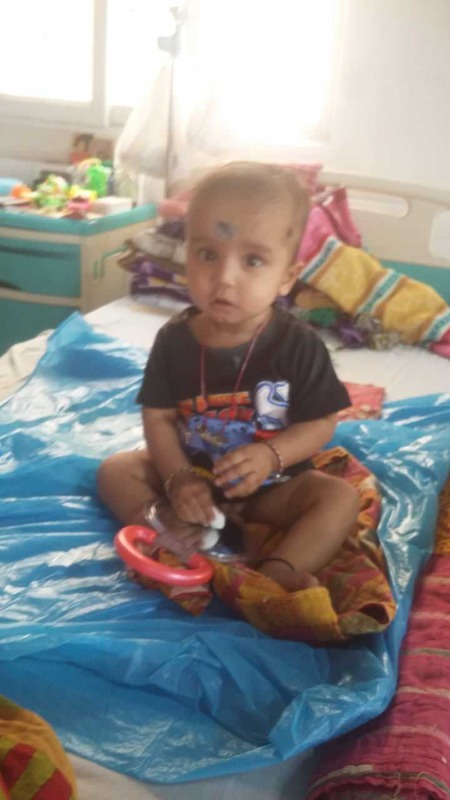 The cost required to save him is Rs 3.5 lakhs and he will not live without help. Your support can help the first time parents save their only baby. Hiran is doing well. He is recovering slowly and is stable now. Here are few recent photos of Hiran. Thank you for your love and supporter. Hiran is doing good. He successfully underwent his 10 cycles of chemotherapy and has to undergo 14 more cycles of chemotherapy. Also, he will be undergoing MRI test, post which doctors will decide whether he needs to undergo a surgery or no. Here is the recent picture of Hiran. 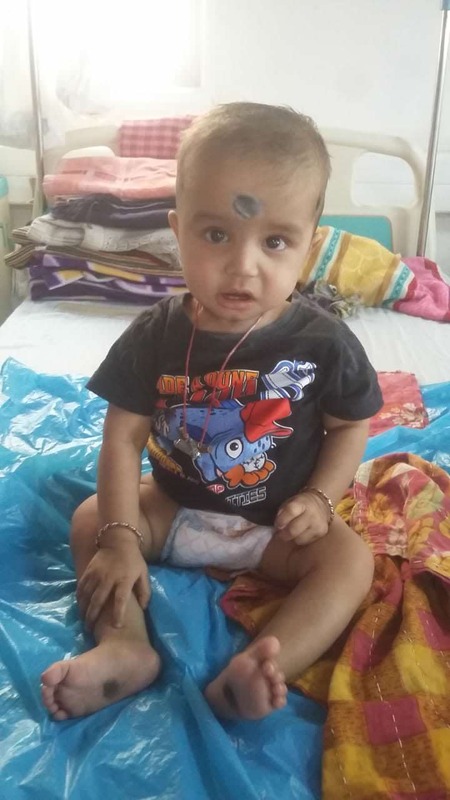 Hiran is showing good response to the treatment and is recovering well. Thank you for all your support. We will keep you posted on the progress further.